institutions that play an important role in medical research and treatment. 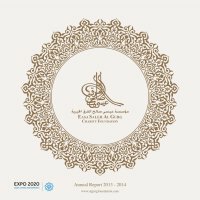 research and education in the medical field with AED 1 million in March 2013.
presence of Dr. Abdul Kareem Sultan Al Ulama, CEO of Al Jalila Foundation. Maktoum, a centre for thalassemia and hereditary diseases was opened in order to meet the needs of the increasing number of patients.